Continuing on in sharing a few more little baby knits that are done and waiting around to keep our baby boy warm and cozy, from the ‘made by mommy’ collection. 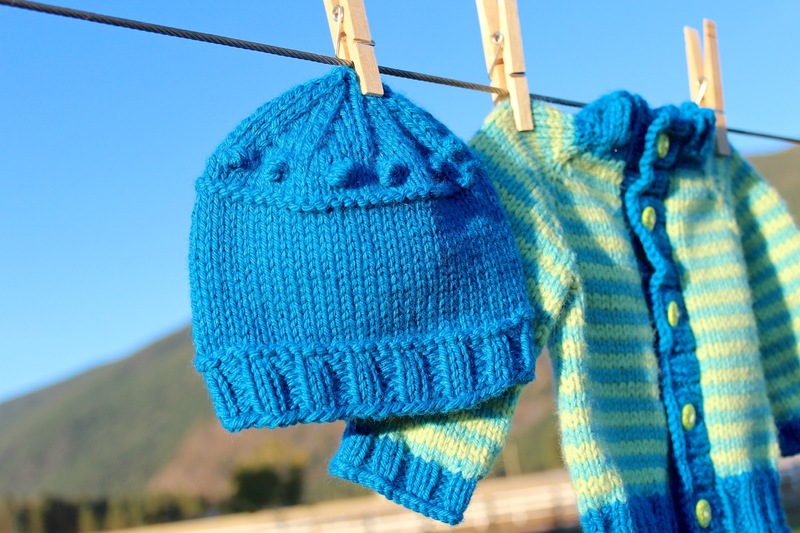 If this little guy takes after his mama at all, he will love to always have several soft and stylish knitted hats for the cold winter. 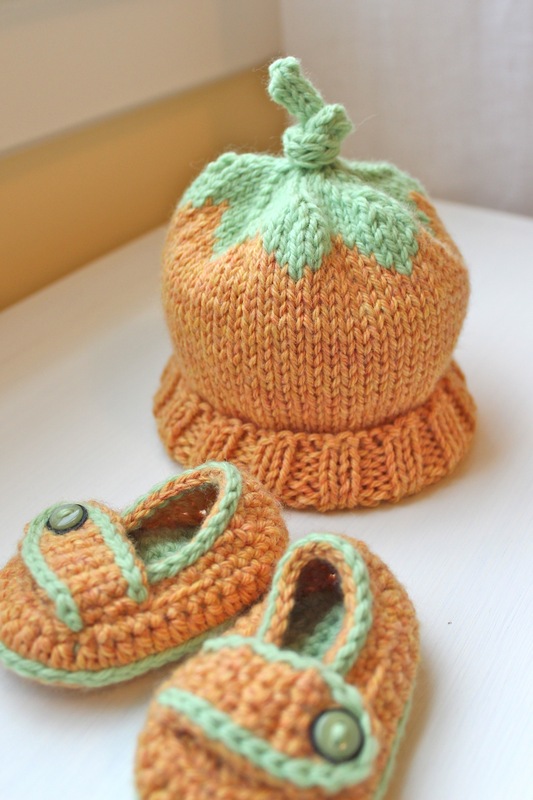 He is due to arrive sometime in October, so these little Pumpkin Hats were a Must-Have for his collection and will be so cute on him around Halloween and for the rest of Autumn. I just love the little stem on top, the leaves, the wide rib, and these colors in Malabrigo Twist. This yarn is so great for hats as it’s so soft and a great weight that knits up quickly. 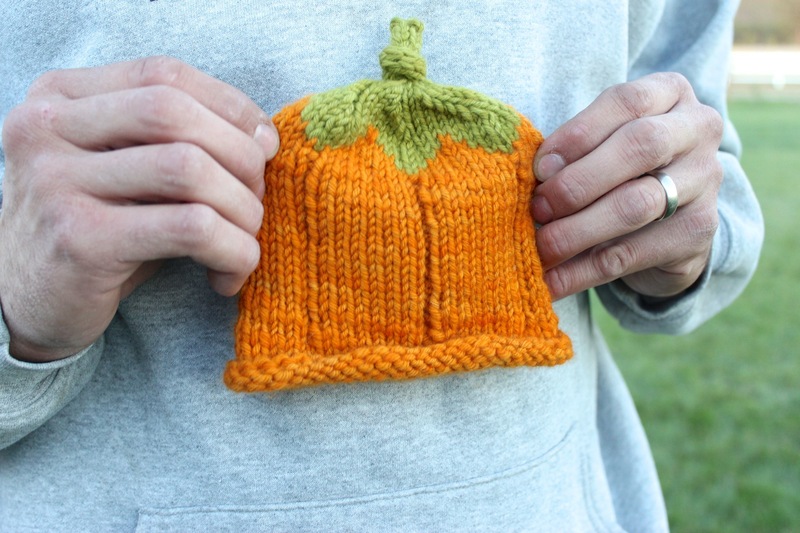 I’m thinking this one turned out a perfect newborn size to bring him home in. Ravelry page here. 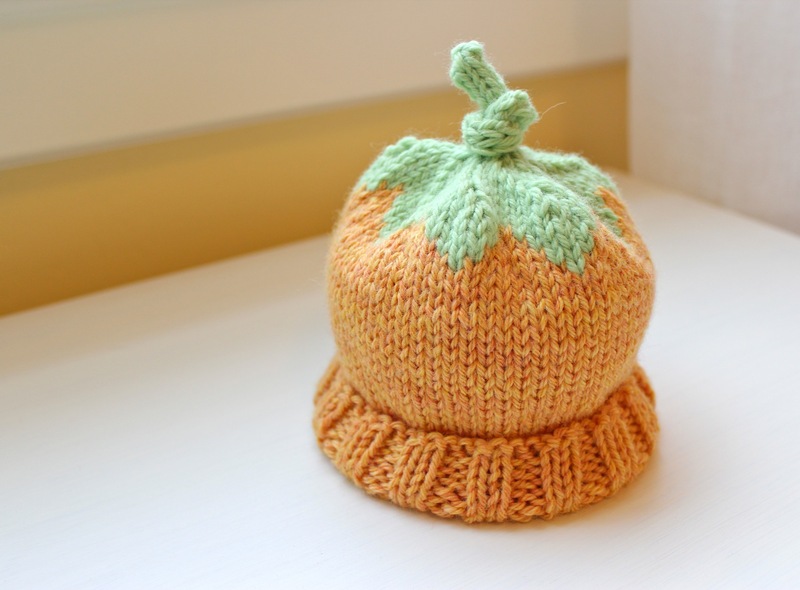 I love the pumpkin hat so much I couldn’t make just one, so he has another that is slightly larger. This set was knit up in Berroco Vintage, with a coordinating pair of my favorite little crocheted loafers. 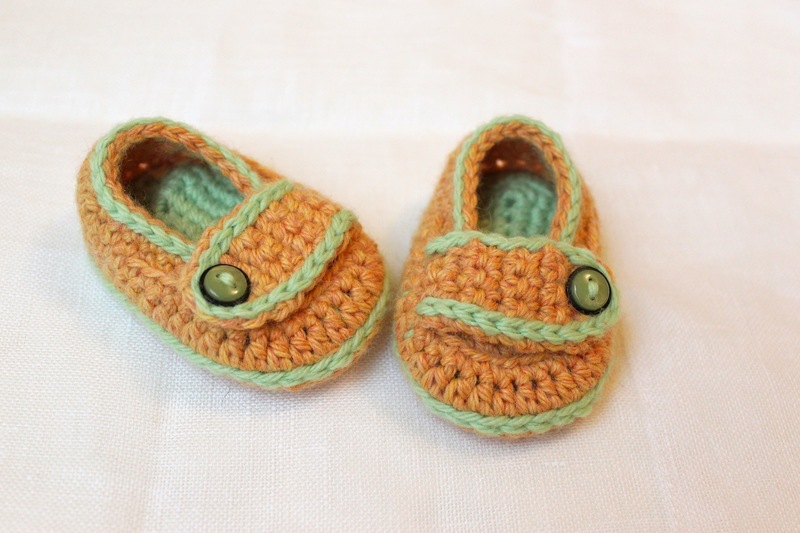 The little crocheted button loafers are so tiny, definitely newborn size. I expect they’ll fit him for about a week, maybe two, so hopefully I remember to take some photos of them on his little feet while I can. Ravelry project page here and here. The other baby booties made for him are the Oh Baby Baby Booties, also made in Berroco Vintage. 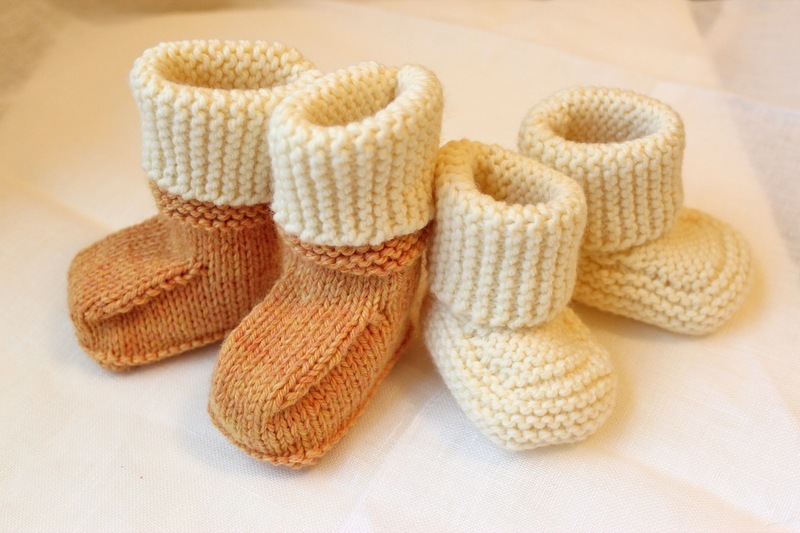 They’re cute, simple, practical, and will no doubt stay on his little feet and keep them warm. 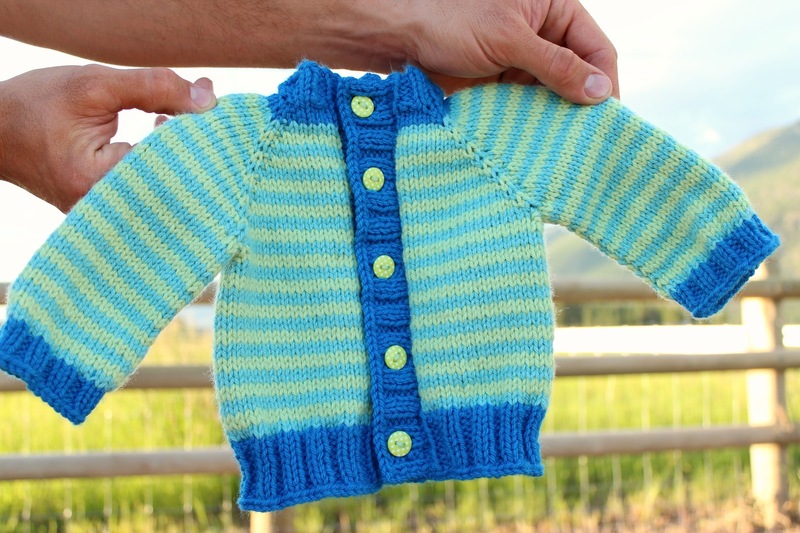 I have been wanting to share some of the little numbers out of the ‘Knitted by Mommy’ collection that our baby boy has waiting for him. I’ve shared pictures with friends so far but haven’t kept up on the blog… so thought it would be fun to post a picture a day of what I have made thus far. 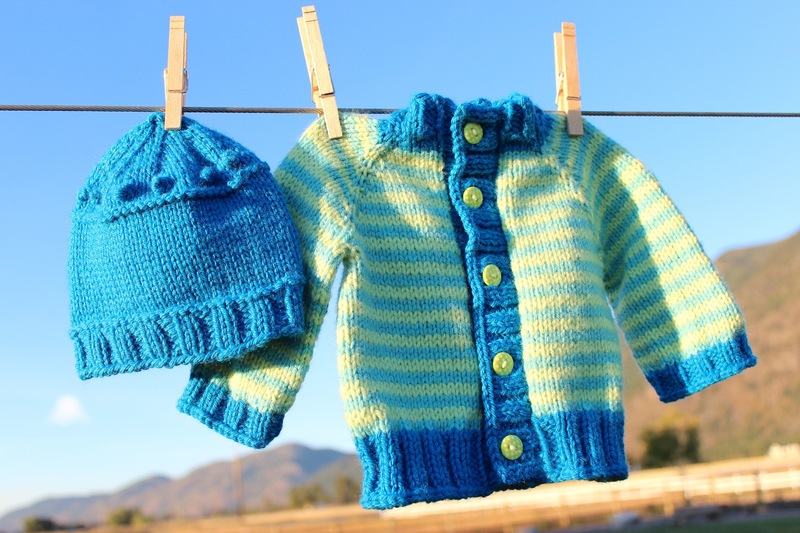 At the beginning of my pregnancy I had thought I’d have a heaping pile of these cute little baby knits made by now. But sadly, that is not the case. I hope to still whip out a few more and catch up a little with my heaping pile of patterns. Earlier this summer I made this Little Coffee Bean Cardigan. I just love how little and boyish it is. Made out of Berroco Vintage, which is a machine-washable worsted weight that I got at my LYS, the cardigan is so practical to keep him warm this winter. The top-down, raglan style pattern is super easy and fun. If you click on the picture you can see the cute little polkadot buttons that I think are great with the stripes. I just love how small and precious it looks in my husband’s hands. Sweater and hat on Ravelry here, and here. I have decided that I NEED to make a cardigan. Soon. Last night I just got lost in all these beautiful cardigan patterns on Ravelry. Like, turned into a Ravelry junkie. I love knitting patterns and pictures. I found quite a few I want, some I already knew of and were on the docket to make someday, while surfing through patterns and day dreaming of having one. I really need to turn my cardigan-day dreaming into cardigan-making. For me, it’s so easy to gawk over these patterns and be so keen to ‘having’ one of these, but I am an instant-gratification kind of gal, and just want the end product. And with having quite a bit of gardening and projects around the house now (which leads me to wondering why I’m here writing about knitting) makes it harder to actually go get the yarn and start making it. For now, I guess I’ll just day-dream. 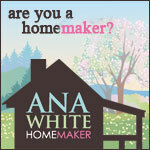 And decide which one to make. I can’t choose, they’re all too lovely.